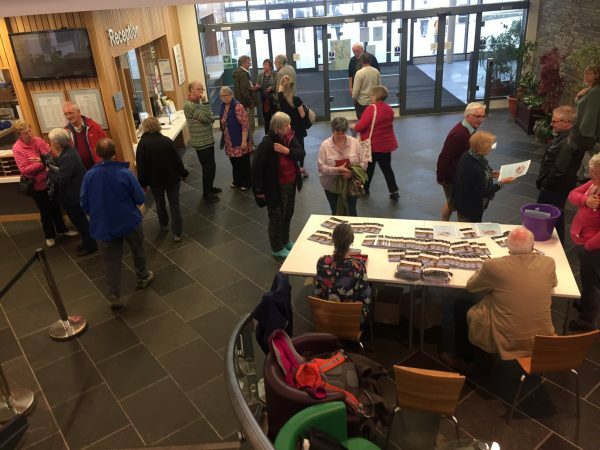 One of the primary charitable purposes of the Orkney Archaeology Society is to raise money to support and promote archaeology in Orkney. The Daphne Lorimer Student Bursary Fund. Below are details of the purpose of each fund. Please read the descriptions and click on the DONATE button for the fund you wish to support. All donations are welcome however large or small. Note: you do not need a PayPal account to donate using the DONATE buttons, you can choose to use a credit or debit card directly from the PayPal screen without logging into or creating a PayPal account by taking the ‘Dont Have a PayPal Account’ option. Alternatively you can send a cheque to OAS, PO BOX 6213 , Kirkwall , Orkney KW15 1YD. On an annual basis since 2007, we award the Daphne Lorimer Bursary to a student on the Masters in Archaeological Practice course run by Orkney College. This bursary covers the fees of a student who has gained a place on the course by academic merit but would otherwise be unable to raise the funds to take up the place. Past recipients of the Bursary have made a significant contribution to Orkney Archaeology both in terms of a direct research contribution and in promoting Orkney archaeology. Each year the recipient of the bursary gives a lecture to the OAS membership, and contributes a research article to the OAS Newsletter. A contribution to this fund will help us to continue offering the Bursary to a deserving student. This fund contributes towards all the remaining activities of the society, From this fund we make grants to support Orkney Archaeology research projects and excavations, we support our educational projects such as our program of activities for Secondry school pupils now being integrated into the local school curriculum plans, we fund publications promoting and informing about Orkney Archaeology and we support the OAS regular series of walks and lectures for both OAS members and members of the general public.